Hope you are enjoying Mother’s Day today, whether you are a Mum or you are spoiling your own Mum! I’ve had a busy week or so as it has been both mine and my Daughter’s Birthday this past week – she’s hit ‘double digits’. So today I wanted to share the card that I made for her. Libby loves pigs, so when I was looking through a ‘My Besties’ cd rom and found the image of a girl holding a little piggy I knew this was what I was going to use!! Slightly random – but very cute! This cd rom has lots of sweet girls on there that are both already coloured – so you can print them straight off, or there are the digi stamps that you can colour yourself. Time was a bit of an issue so I went for the first option! All the patterned papers and image was from the cd rom. 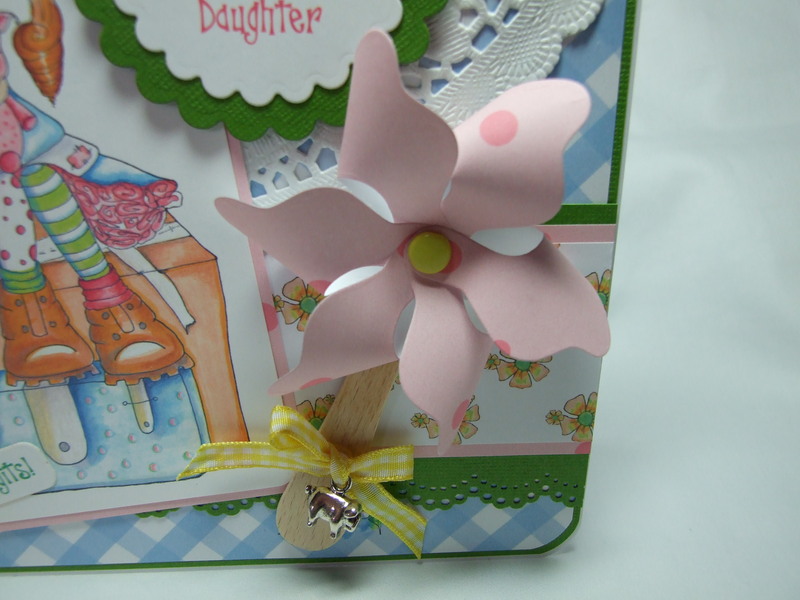 I used a Lil Inker Pinwheel die and tied a silver pig charm on there to tie the pig theme together! I’m pleased to say that Libby loved her piggy Birthday card! Beautiful card! 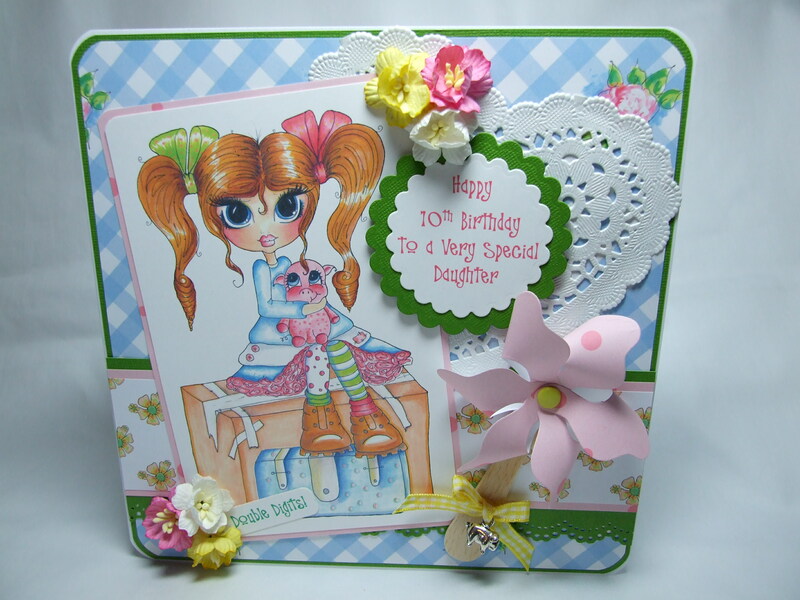 Love the sweet image and your wonderful card! Happy Belated Birthday to you both! Awww! This is adorable! I love your eye for color! The papers are beautiful and your coloring is perfect! This is just adorable. 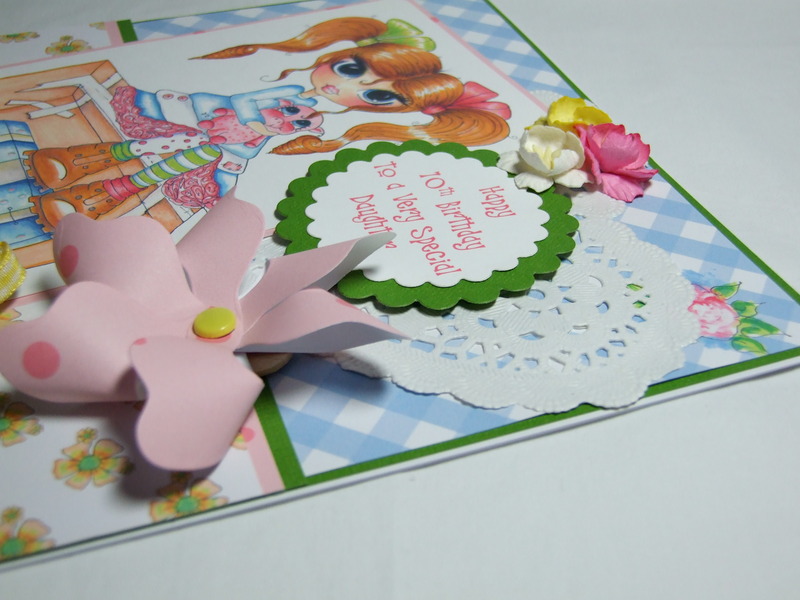 I adore all the layers and your handmade flower is so full of dimension! Terrific design with incredible results. Hi Lynn, thank you so much for your kind words – I really appreciate it 🙂 Have a great weekend!